Posted: Sunday, July 16, 2017. 6:26 am CST. 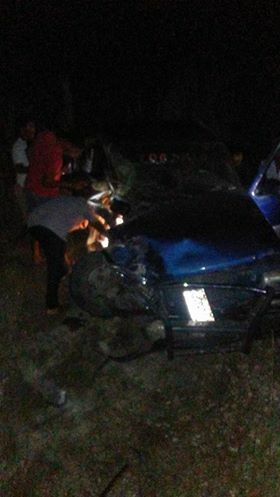 By BBN Staff: Last night around 7:40, police received information of a vehicle that overturned on the San Victor Road in Corozal. 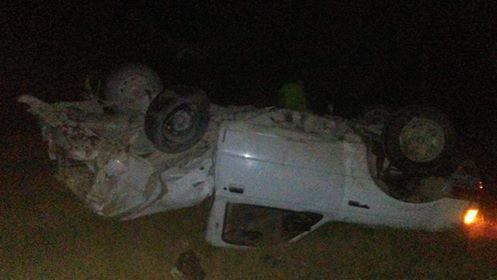 Police visited an area between San Narcisco and San Victor where a blue and silver 2 door Mazda pickup was seen on the side of the road extensively damaged, and a white Ford Ranger overturned, also extensively damaged. Victor Noble, 24, a police officer was driving the white Ford Ranger pickup when he experienced mechanical problems. According to reports, Noble put on his hazard lights, came out of the vehicle, and pushed it along with the aid of a passenger. However, while Noble was attending to his vehicle, the driver of the Mazda pickup traveling from San Victor lost control of his vehicle and collided into Noble’s Ford Ranger. As a result, the passenger in the Mazda pickup, Carlos Carrias, 26, of Bella Vista, Stann Creek was badly injured and was rushed to the Corozal Hospital for treatment. Carrias succumbed to his injuries.